Are you looking for software that exactly suits your needs, with which you don’t have to make any compromises? We are experienced in software development! We are able provide special software programmes and additional applications for various kinds of data. We develop our own software packages and are open to your suggestions and requests. If you have special requirements or ideas – we can put them into practice. In cooperation with you, we develop individual software concepts and professionally realise them. Our development team specializes in AutoCAD programming (we are a certified Autodesk developer), database development and 3D software development. We have more than 10 years experience in professional software development for archaeology, monument preservation, and 3D visualization. Our experience is your advantage! Contact us with your ideas – we will develop a feasible solution for you! 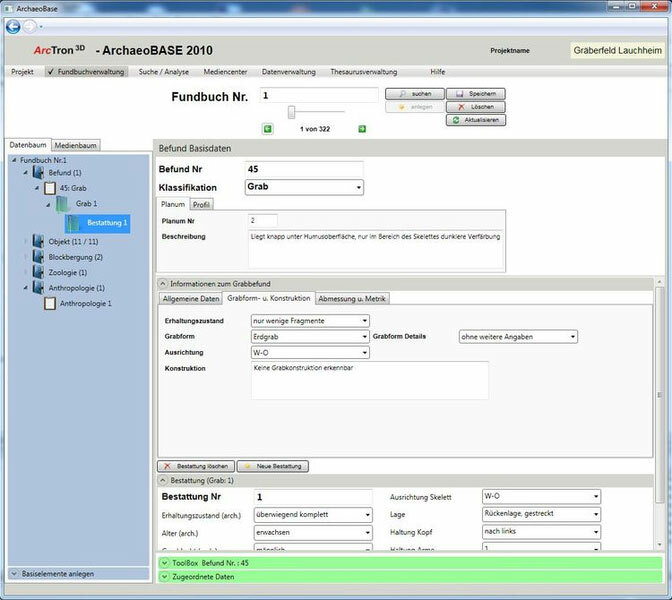 In a DFG-sponsored project (German Research Association) on the Roman Cemetery in Lauchheim, we developed an extensive cemetery and finds database. 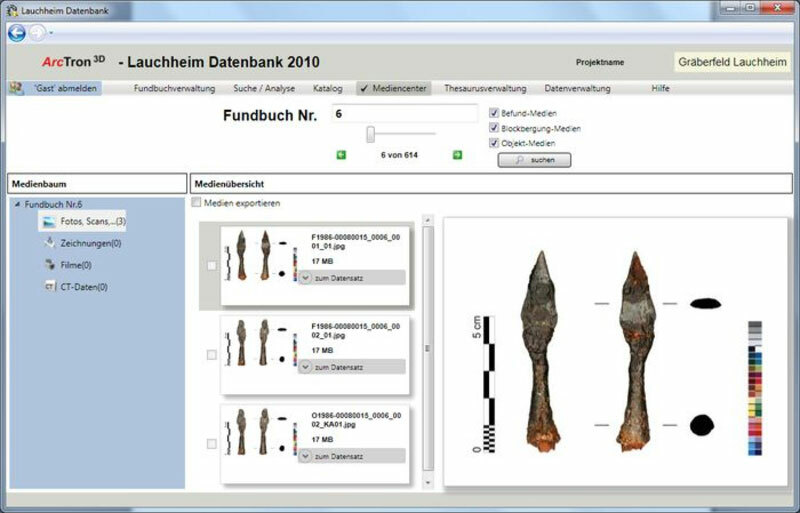 It contains not only position, results and information on finds, but also additional data, such as auxiliary scientific research, 3D scans and computer tomographies.